Cinepocalypse Announces 2018 Jury Presidents! Check out the details for Cinepocalypse's Jury Presidents for 2018. The Music Box Theatre is proud to announce DOCTOR STRANGE director Scott Derrickson and screenwriter C. Robert Cargill as Co-Presidents of the 2018 Cinepocalypse Feature Film Jury. The Chicago-based genre film festival, which which will take place June 21 - 28 at the historic Music Box Theatre, celebrates its triumphant second year with even more films, guests, and events. The Midwest’s largest gathering of genre films and fans, Cinepocalypse’s organizers are also very proud to announce their first title - the World Premiere of Michael Winnick's MALICIOUS. In the film, a housewarming gift from hell terrorizes a young pregnant couple when a malevolent entity that will stop at nothing until it satisfies its morbid intentions is unleashed from a cursed antique box. 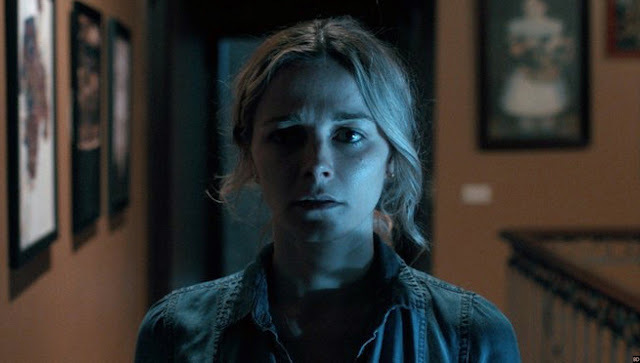 It stars Josh Stewart (The Collector) and Bojana Novakovic (Beyond Skyline), and is produced by Shaun Redick, the Executive Producer of the Academy Award-winning cultural phenomenon Get Out. With over fifty incredible titles yet to be announced - alongside its amazing juries and guests - Cinepocalypse 2018 will reveal its first wave of films in May. Stay tuned for more!